I am not quite sure where to start with the Disneyland Paris post as all I can is I think this trip may have just changed my life. I have come back and it was honestly just what I needed. I always thought that relaxing on sunny beaches and taking time out was my way to recuperate, but after this trip I have had my mind changed. We got the first flight out of Manchester on the Wednesday and arrived in Paris Charles de Gaulle at 9.30am. My sister had visit Disneyland Paris once before which made things a little easier. We booked the package through Disneyland themselves and we added on the magic shuttle service there and then. I think it was £22 each but I would definitely pay it again as the service was seamless. The magic shuttle picked us up from the airport, and we were very lucky as one had just arrived. They run on an hourly service and they do have a timetable which you can look at. The shuttle can take you to any Disneyland or associated hotels. We were very lucky as out hotel was the second drop off, and the whole journey only took 40 minutes. I know there are other alternative cheaper ways to get to Disneyland, but this was easy, convenient and saved time. We stayed in the Santa Fe hotel which was one of the cheaper hotels within the resort. My sister and I were not bothered about paying a lot for a hotel as we knew we would be spending minimal time there. The hotel was great as it was Cars themed and I loved the decor throughout. The process of check in was simple, as we were not sure how everything would work. We were presented with magic passes where the receptionist explained that all of our bookings and the key for our room were on our card. This was so convenient as everything we needed was on this little card. We decided to choose the full board option meal plan which I would definitely recommend. I had done quite a bit of research before booking, and a lot of comments were made about the price of food within the parks. We stayed for four nights and we had on our magic passes breakfast for 4 days and 8 meals each. It was really good as we had booked mine and my sisters under one booking, each magic pass had all the meal plans for the total holiday. For example, mine and my sisters had 16 meals on them so I could get both of our lunches on my pass and it would then deduct on both cards so there would be 14 left to use. We checked in and we already knew that the room would not be ready until 3pm. We were able to hand our luggage in to a secure baggage unit and start to explore. From the Santa Fe to the entrance of the park it was a 15 minute stroll, it was a lovely walk along the riverside and you got to see all of the other hotels on the journey. We headed into the park and once we were in and entered Main Street I was overwhelmed. I had seen beforehand many pictures, videos and adverts for the park, but it was absolutely magical. I was literally taken aback and felt a little overwhelmed. We had decided before going we wanted to do everything possible with our visit including meet and greets. On this first day we decided to just basically explore. It was mesmerising taking everything in and it a lot bigger than I thought it was going to be. We managed to do a few meets and greets, and get on some of the bigger rides in the Disneyland Park itself. That night we watched the fireworks for the first time and I swear it was worth going just to see them. If you go the fireworks are my absolute icing to the cake, they went on for 20 minutes and it just kept getting better and better! When people say make use of the magic time, they mean make use of it! We were up at 7.30am everyday, having breakfast for 8ish and heading into the parks for 8.30-8.45am. Any person staying in any Disney hotels gets magic time which is where you get to go into the parks at 8.30am and make use of the park, before it opened to the public come 10am. We mostly used this time to get fast passes and meet the must have characters. The queue for the princesses most days was over 2 hours, on the second morning we met Ariel and the queue was 60 minutes. On the second day we decided we would once again head into the Disneyland Park, to do everything which we had been unable to do on day one. We explored the shops and I bought my purple potion ears, which were permanently glued to my head after this. It was a beautiful day the sun was shining, and we watched the princess vs pirates parade, which was just sensational. Like I say, you see and hear about these things but everything was step ahead than what I thought. 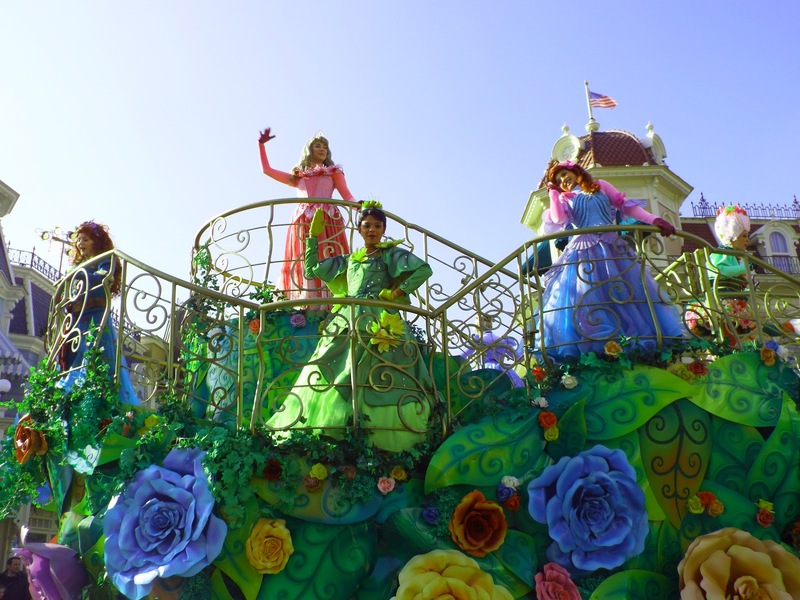 We made sure that we watched the princess parade that evening and it was everything I expected and more. That night we ate a beautiful meal in The Steakhouse which was truly delightful. On the Friday, we went into Paris for the day as this was something which we had always planned to do. We once again got up early and headed for the train. You can easily get into the Paris from the Disneyland park where there is a train station called Chessy. The train took approximately 45 mins to get into Paris. We made the most of the day and I cannot wait to bring you my Paris post. We made sure we got the train back just in time to make the fireworks as we just could not miss them. We asked at the park and the last entrance is 7pm before they close it for the fireworks. We knew that the parks were going to be super busy on the Saturday, but we had scheduled to go to the Walt Disney Studios this day. I was not sure how what to accept from this park as I feel as though it just had not received the same hype. When we arrived I was like how did I not know about this place?! That morning I had said to my sister I feel as though the Disneyland Park itself needed a few more 'big' rides, and this definitely filled that void. There were so many rides I wanted to go on and we didn't know where to begin. We headed to get a fast pass for Crush's coaster as we heard that it always has a huge wait. 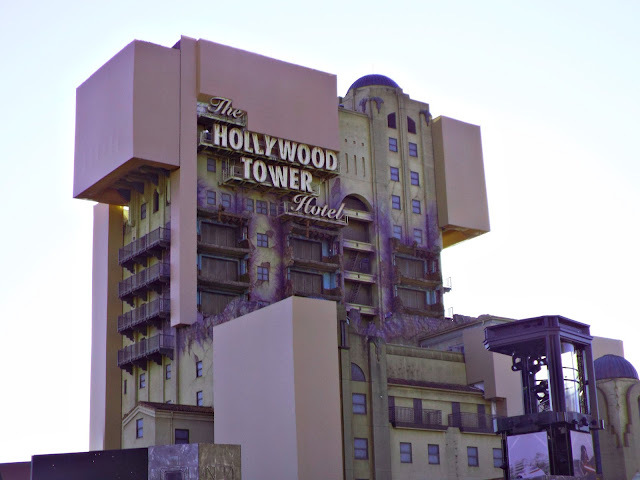 We then went on Hollywood's Tower of Terror which I was terrified about, and I think I still need to go and retrieve my stomach from the top of the lift! Rock n' Rollercoaster definitely filled our need for that adrelining junkie feeling. We also did some more meet and greets in this area.They have live shows in this area such as Stitch Live, which is great for the kids. which This night we went to Buffalo Bills Wild West Show, which was fantastic. It cost 57 Euros each, but it was great and it included a three course meal. Sunday was the last day of our Paris adventure. We planned to do whatever we had left on our list. Up and out early we headed to the meet and greet Princess Pavilion, we met Snow White this time the 60 minute expected wait was a little longer. We then watched the princess and pirates parade one last time. The day before we had wanted to met Buzz Lightyear but it was an organised meet and greet only, so we made sure we got a slot and went over to the Walt Disney Studios again. We were really disappointed as we had wanted to go the Ratatouille ride, but the wait was always two hours plus and we just did not have the time that day to fit it in. We headed back to the Disneyland Park where we headed to Discoveryland where we went on Star Wars Hyperspace Mountain, and this was such a pleasant surprise as I really loved this ride. Our plane home was at 8.50pm so we had planned to get on the magic shuttle back to the airport at 6pm. We left the park at 5pm and headed to get our luggage and make sure we were not running late. Everything went just about smoothly, except there was a bit of traffic on the motorway. Thankfully the airport was half empty, but it was definitely a rush as we didn't realise quite how big the airport was. We had to get on some kind of internal metro to get to our terminal! As you can probably tell I had the best time ever. I am already dyingggggg to book my next trip. There is so much more for me to write about over the next few weeks. I will be writing posts about my top tips for first time visitors, the best shops, where we ate and Buffalo Bills!